Darien’s Georgia Cassidy (2). 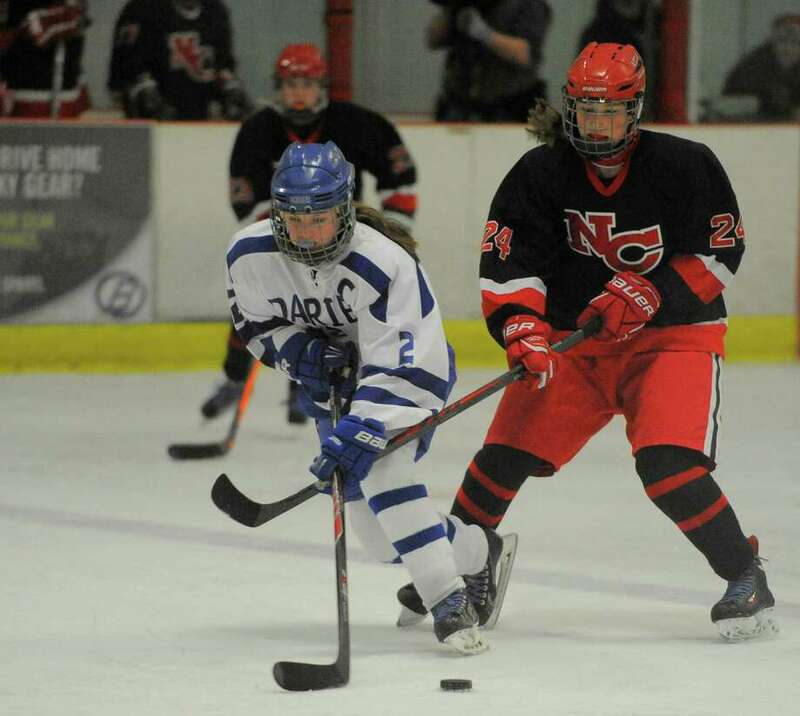 Darien defeated New Canaan 3-2 in a girls varsity ice hockey game at the Darien Ice Rink in Darien, Conn. on Jan. 16, 2016. DARIEN — A fitting end to a storybook career. Georgia Cassidy helped lead the Darien girls hockey team to both state and FCIAC championships this past season, becoming the fifth all-time leading scorer in state history with 211 points in the process. That list of accolades gets a little longer as Cassidy is named Hearst Connecticut Media Group’s girls ice hockey MVP. What makes Cassidy so special isn’t just her natural ability, which transcends into multiple sports — she also this past season’s Hearst Connecticut Media field hockey MVP and currently plays goalie on the lacrosse team — but her affinity for the big moment. In the fall, Cassidy scored the winning goals in both the FCIAC field hockey semifinal and championship games to lead her team to the title and the senior tallied in every state playoff game for the Blue Wave this past winter. That motor made the girls around Cassidy better and in turn improved her own game, resulting in the team’s dominating performance during her tenure. The Blue Wave never lost an FCIAC game in her four years, winning all four championships in the process and eventually taking home Darien’s first state championship since 2009, a bittersweet ending to her high school career. Cassidy will go on to play field hockey collegiately at the University of North Carolina in the fall, so the state championship game may have been the end of her competitive hockey career. Tropsa knows just how rare and special that career was.